Run Your CCTV Crawler Like a Pro. Run Your Sewer Camera Crawler Like a Pro. To inspect sewers successfully, your crawler must travel as far as possible—and that’s nearly impossible without the right wheels. Properly chosen wheels maximize ground clearance and side wall contact, and offer a tread pattern that optimizes grip and minimizes camera vibration. 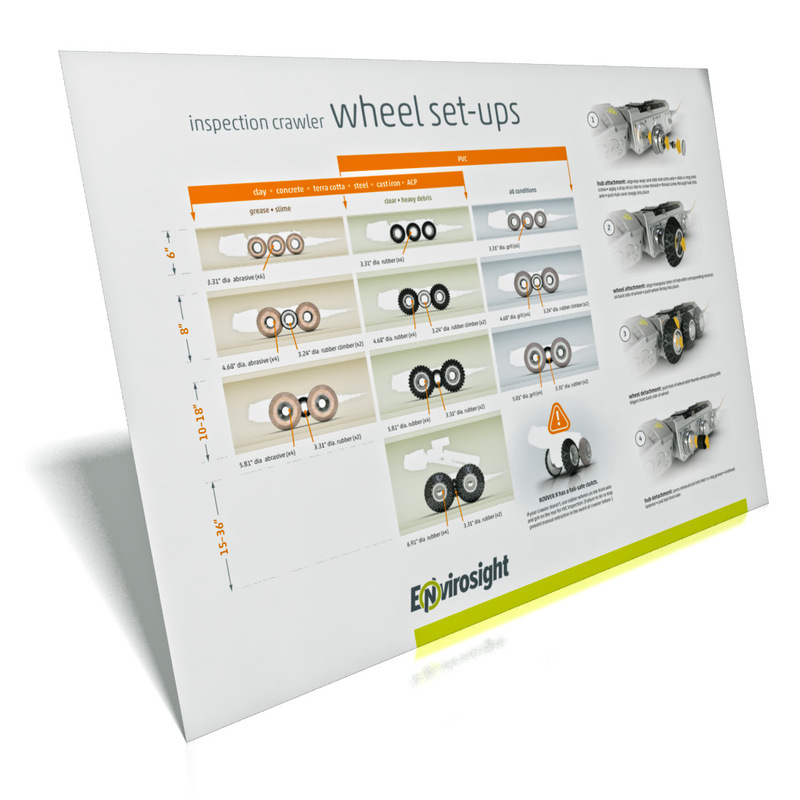 To help operators select the best wheels for a given pipe, Envirosight has created a new Inspection Crawler Wheel Set-ups poster. It depicts popular wheel set-ups best suited to various combinations of pipe size, material and condition. The poster is an ideal field reference for any inspection van. Send us your address (in the U.S. or Canada) and we’ll mail you one for free.